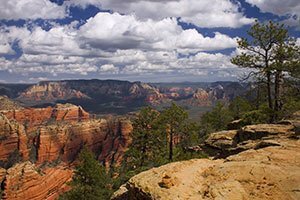 This incredible sightseeing experience brings together three of the most popular activities available at Grand Canyon West. 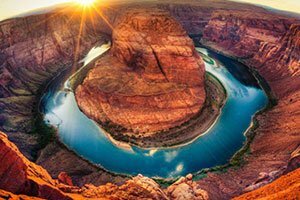 Depart from our terminal just beyond Las Vegas on a scenic helicopter tour over Hoover Dam and Lake Mead before descending to the bottom of the Grand Canyon. 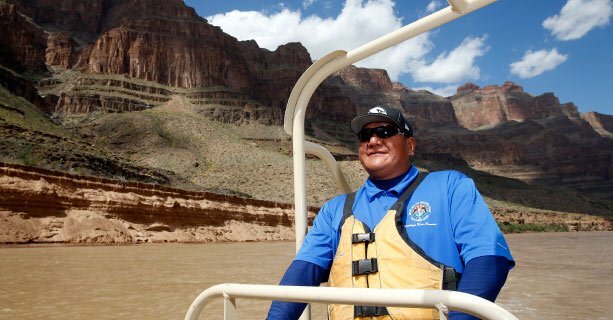 There, a waiting pontoon boat will take guests down the Colorado River on a smooth water float trip between the ancient stone walls. 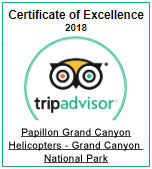 After returning from the river, guests will re-board the helicopter for a thrilling ascent to the rim of Grand Canyon West. Shuttle service will provide transportation to the world-famous Skywalk, where guests will receive a VIP pass for admission. A souvenir photograph is included before heading back to Las Vegas. 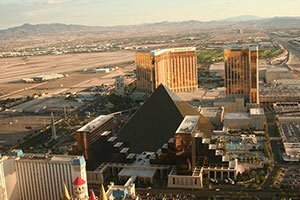 Complimentary transfers will be offered to return you to your Strip hotel. Check in at our state-of-the-art terminal in Boulder City. 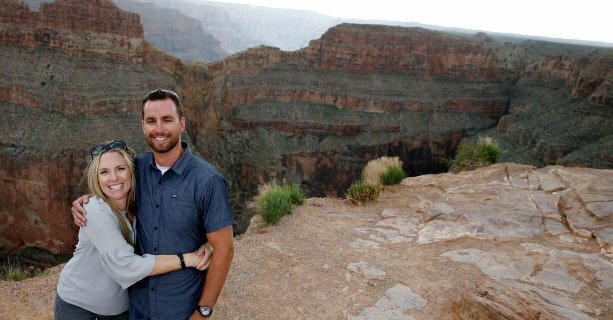 Fly over Hoover Dam, Lake Mead, and the Colorado River en route to Grand Canyon West. 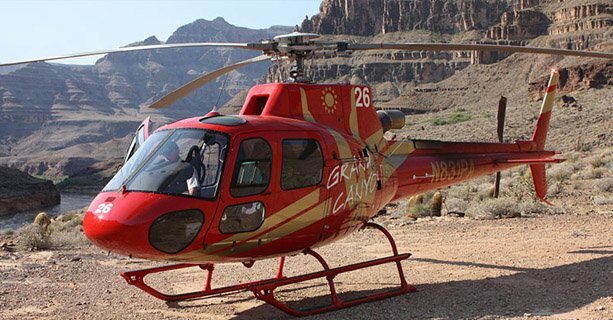 Descend 4000 feet below the rim to the canyon floor onboard a first-rate helicopter. 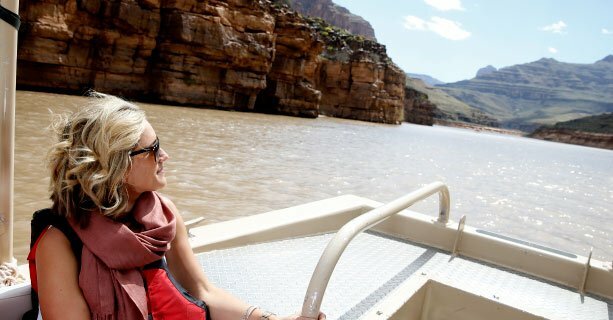 15-20 minute pontoon boat trip down the Colorado River between the canyon walls. 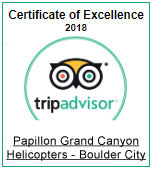 Depart the canyon floor by helicopter. 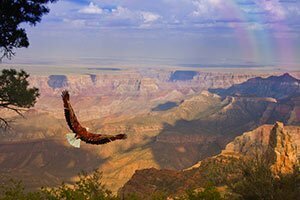 Return to the rim of Grand Canyon West and board an express shuttle to the Skywalk. 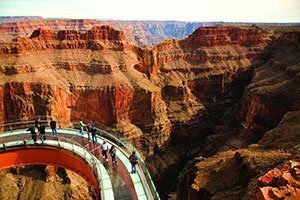 Skip the crowd with a VIP line pass for the Grand Canyon Skywalk glass bridge. Receive a souvenir Skywalk photo after your experience.